Feb 10, 2017: Monitor switch? Mar 01, 2017: I am new to this sub, but literally started shaking when i saw this... So help me! Sep 28, 2017: Advice Needed: My Scarlett 2i4 does not work when plugged into my USB hub. Is it a power issue? Will powering my hub fix the issue? 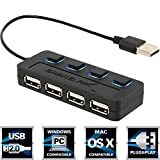 Mar 20, 2018: Can a 4 slot USB hub fry my USB ports? Apr 11, 2018: The setup that helped me find my end game!